It has been a long long time since I last spoke to you about wedding planning. I even had a wedding planning series for a while but as life got busy and financial problems set in, the series and the wedding planning had to take a bit of a backseat. As you can imagine, things do change and in the three years since we got engaged, our plans certainly have changed here and there. With both of us having big families, it would be too expensive to have every family member there but it is proving difficult to cut down to a select few. We are still quite interested in having the wedding outside although I also wouldn’t be opposed to getting married in my small village church. As we’ve grown up a little more, our tastes have changed and our budget has fluctuated. With things to pay off and a wedding to save for, it doesn’t look like it will happen anytime soon but a girl can dream, right? I had best get saving those pennies! I’ve actually considered having a quick registry office wedding instead and then having a big party for the family. The wedding does matter, of course, but as long as we’re married, we don’t need all the glitz and glam that some people do and our budget probably won’t stretch to. There are only a few things that I am adamant on having at the wedding. Jack as a page boy, my best friends little boy as a page boy and her baby bump as either a page boy or flower girl depending on what she has. In regards to entertainment, I am still not sure if I want a DJ or a band – there is a fab local band who I wouldn’t mind – and I am determined to have a photo booth, perhaps from a company like OMG Photo Booth, one of the best in the business. They look like so much fun and although I know they seem to be all the rage at weddings now, I really want one for ours when it eventually happens. 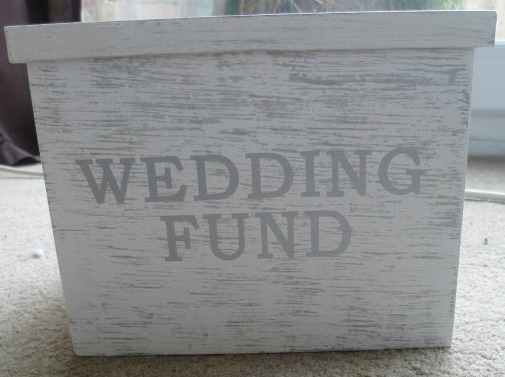 As it stands, the wedding budget is currently at £0. However, I am excited for 2016 as I have so much planned – and becoming debt free and saving a ton of money is part of that. Wish me luck!